Please keep in mind that we are only discussing these issues generally for the province of BC, Canada. Meals & entertainment – Similar to the rules for income tax, ITCs on meals and entertainment expenses are generally restricted to 50% of the GST paid. Note that you have two options in arriving at this result. First, you can simply claim a restricted ITC on each payment. 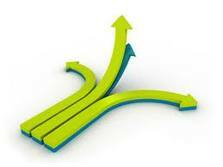 As this can be cumbersome and may require overrides to your accounting system, a second option is available. You can claim all of the GST paid on these expenses as an ITC as the expenses are incurred, and then make a year-end adjustment equal to ½ of all ITCs claimed on these expenses during the year. This adjustment would generally be included as an amount owing in the first GST return for the following year. Care is required if this option is chosen—a common error is forgetting to make the adjustment at year-end. Membership dues – GST charged on membership fees or dues at a recreational, dining or sports club are not eligible for an ITC. As is the case for tax purposes, it doesn’t matter whether the membership was incurred purely as a business expense or not, as ITCs on these expenses are specifically denied. Home office expenses – For income tax purposes, if you conduct business from your home, you may be allowed to claim a portion of your expenses as a business deduction provided that certain conditions are met—you must use your home as your primary place of business or your home office must be used exclusively for the purpose of earning income from a business on a regular and continuous basis for meeting clients, customers or patients of the registrant in respect of the business. The GST rules contain a similar restriction. The business-use proration you use for income tax purposes should be acceptable for ITC purposes where taxable supplies are incurred that relate to the upkeep of your home. Automobile expenses – For income tax purposes, a complicated set of rules apply to restrict the amount of depreciation or lease payments that can be claimed in respect of a car that costs more than $30,000. These rules are also relevant for GST purposes. For leased vehicles, the process is more complicated. You can claim full ITCs during the year, but at year-end, you must make an adjustment. Basically, the total lease payments made must be compared with the amount that is allowed as a deduction for income tax purposes. If a portion of the amount paid is non-deductible for income tax purposes, then you must repay the ITC related to the non-deductible portion. Personal-use supplies – Where supplies or services are purchased for the exclusive personal use of an employee or shareholder, it will come as no surprise that the business will generally not be able to claim an ITC on such an item. That said, it is easy to miss this. For example, a problem could arise where you purchase an item using a corporate discount, and the employee reimburses you for the cost of the item. The cost of the employee’s item might even be combined on an invoice with regular business purchases. The problem is that these invoices must be recognized and properly dealt with as part of your business’ accounts payable process. An ITC should not be claimed on the item, and the employee should reimburse the business for the full cost of the item including GST. More and more businesses are engaging independent contractors rather than hiring employees for services that the business requires. Many of these businesses treat contractors in the same manner as employees when claiming ITCs on expenses that are reimbursed, and this isn’t correct. Where an independent contractor is to be reimbursed for an expense they incur, they must submit an invoice to you for the expense (unless they are acting as an agent for you). This means that the contractor should claim an ITC on expenses they incurred, and they should then charge you GST on the expense when they invoice you. You might be thinking that this will pose a problem for meals and entertainment, but the ITC limitation discussed above does not apply where the expense is resupplied to another registrant. Where you provide taxable benefits to your employees, the GST rules work as though you have “sold” these benefits to your employees at their fair value. Therefore, where a taxable benefit is related to a taxable supply, you must self-assess GST on the benefit, and remit the tax to the government. When reporting the benefit on the employee’s T4, the benefit is equal to the value of the benefit plus GST. Two of the most common benefits to watch for are automobile standby charges and operating benefits. Where two corporations are owned by the same individual, these corporations are not considered to be “closely related”, which is a requirement for an election. The corporations in question must be eligible to claim all of the GST they pay in general as an ITC to qualify for the election. That is, a party to the election can’t include an entity that is carrying on exempt activities of a sufficient size to restrict the ITCs that it claims. The election does not apply to transfers of real property. Where this election has not been made, or is not available, errors often arise with respect to year-end adjustments. For example, one corporation may own real estate that is leased to another corporation in the group. If the rent isn’t paid on a regular basis then an accounting entry may be made at year-end to reflect the amount of rent due under the lease. The addition of the unpaid rent to the intercompany loan account payable is a taxable supply at the date of the journal entry, and GST is due. Corporations that are associated for income tax purposes. Where a person controls a corporation, or is a member of an associated group that controls the corporation, that person is associated with the corporation. A partnership is associated with any partner that has a right to more than 50% of the income of the partnership (or any member of an associated group of partners with such an income entitlement). Similar rules apply to trusts and trust beneficiaries. The key point to keep in mind is that the association rules for GST purposes go beyond the association rules for income tax purposes. Where GST is not charged on the basis that a sale is a zerorated export, it is the vendor’s responsibility to retain proof that the good was in fact exported. Where the goods are shipped to an address outside Canada, this should be easy to establish. 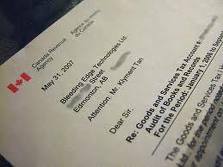 Note that it’s not relevant where the payment for the good originates, as long as the good is exported (as GST will be due if the good is brought back into Canada). 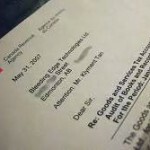 In some cases, goods can be shipped to a Canadian address, in advance of the good’s final export to an address outside Canada, and the sale will be zero-rated. However, you must be in a position to prove that the good was in fact exported. Evidence in this sort of situation would include the invoice, transportation documentation, and documentation to support the export of the item from Canada and the importation of the item in the foreign country.